Electricity tariffs in India are increasing rapidly, where both the quality and quantity of power is quite bad. We had talked about how the solar electricity prices are already cheaper for industrial consumers in Maharashtra. Cheap power in India subsidized by state and central government, have led to a large deficit in power. Free electricity to agriculture has bankrupted many of the state owned distribution companies. Long power blackouts of 10-12 hours in rural areas is not uncommon due to a lack of market pricing of power. Customers are willing to pay higher amounts of reliable power supply. 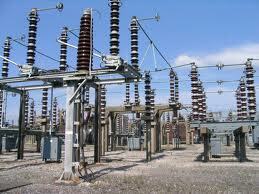 However, they are not able to get it from the state owned and controlled power supply. Good power is only available in some states like Gujarat, where the tariffs are set according to market pricing. Read about Power Companies in India. States where long power brownouts are seen have made people look towards alternative solutions. Most homes and offices have a diesel based power backup which can run for many hours. Not only is diesel expensive, but there are also difficulties in procuring diesel daily as hundreds of liters can be consumed by big power backup generators for large offices and factories. Solar energy has become an attractive option, as solar power can now be generated for as cheap as Rs 6-7/Kwh compared to diesel power at R 15-20/Kwh. Solar energy is also starting to compete with retail prices of electricity which can easily reach Rs 6-7/Kwh in many of the Indian cities. Tata Power which is one of India’s biggest solar panel producers and system installers is seeing a huge interest from corporate. This trend will only increase as solar panel pricing keeps falling (36c/watt expected in 2017 from 65c/watt now) and fossil fuel prices keep increasing. Solar energy has now become an economic alternative in a large number of states and situation. It is expected that by 2020 utilities using coal and gas power could be threatened, as solar systems with energy systems could start to become cheaper. Solar Energy does not require any fuel like other Renewable energy (Wind Energy) and the operation and maintenance costs are extremely low. Industrial and commercial customers in India have to pay very high prices for power at around 15-20c/Kwh in order to subsidize the power sold to residential customers and farmers. In fact most of the revenues of the state distributors are derived from this segment. However with solar power cost going down drastically in cost, it has become viable without subsidy for these customers. Solar power can be produced these days at Rs 8-9/ Kwh in large scale compared to the prices of Rs 10-12/ unit being paid currently. Industries can now easily generate 20-40% of their requirement by putting solar panels on their roofs. This will sharply cut the revenues and profits of the state distributors. As solar panel costs keep going down by around 10% each year, these utilities will eventually have to lower their tariffs or go out of business altogether. Tata Group’s solar unit is expanding its business building plants for customers, forecasting that offices and factories will be paying more for grid power than solar by 2016 in most Indian states.Solar installations for commercial and industrial energy consumers, such as cement factories, information technology parks and car manufacturers, seeking to generate their own power represent a market of about 80 billion rupees ($1.3 billion), said Ajay Goel, chief executive of Tata Power Solar Systems Ltd., a unit of India’s biggest industrial group that owns Jaguar Land Rover. The investment can pay for itself in a year if the customer is able to claim tax depreciation benefits or about four years if they can’t, Goel said… In India, the rate paid for electricity delivered by the national transmission network differs depending on the type of consumer and the location. On average, the tariff has risen 15 percent since 2010 to 4.55 rupees a kilowatt-hour, according to data from the Central Electricity Regulatory Commission on short-term power sales. In the same period, the average cost of solar energy fell 39 percent to 6.89 rupees per kilowatt-hour, according to Bloomberg New Energy Finance.